ABC will feature a scenario on Friday’s “What Would You Do?” that is inspired by Colin Kaepernick and other NFL players kneeling in protest during the National Anthem, TheWrap has learned exclusively. On Friday’s episode, airing one day after the kickoff to the 2018 NFL season, the docuseries will feature a scenario where high school athletes tell their football coach that they want to take a knee during the national anthem. You can view an exclusive clip from the episode above. In the scenario, a black football player tells his coach he wants to take a knee at the first game of the season. The coach is very stern and tells the young man that he must stand or he will be kicked off the team. The athlete tries to explain that he isn’t disrespecting the flag or the military, but instead is voicing his disapproval of police brutality. The scenario is repeated with a white football player. The same scenario, with both a black and white player, was filmed in two different places: Bardstown, Kentucky and Bronx, New York. The coach is white in both places. Earlier this week, Nike named Kaepernick as the face of its newest “Just Do It” campaign. 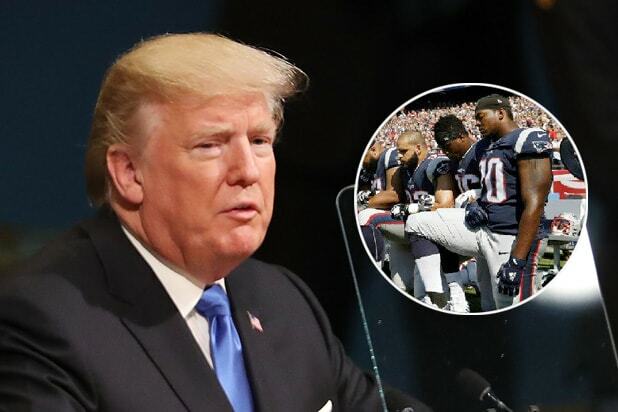 The former NFL quarterback has become persona non-grata among some fans, as well as the Trump administration, for his kneeling during the national anthem, which sparked a wave of player protests. The first ad, which features an image of Kaepernick staring at the American flag, will air Thursday night during NBC’s Philadelphia Eagles-Atlanta Falcons game. The spot, titled “Dream Crazy,” will air throughout the weekend during the U.S. Open, MLB and college football. Kaepernick began kneeling during the national anthem before NFL games in 2016 as a means of raising awareness and protesting racial inequality in America, and the shooting deaths of unarmed black men, women and children by police officers. After playing for the 49ers that season, Kaepernick has yet to be signed by another team. Anchored by John Quiñones, “What Would You Do?” reveals how people behave when they think no one is watching by using hidden cameras to record their real reactions to thought-provoking scenarios created by actors. “What Would You Do?” airs Friday nights on ABC at 9 p.m.